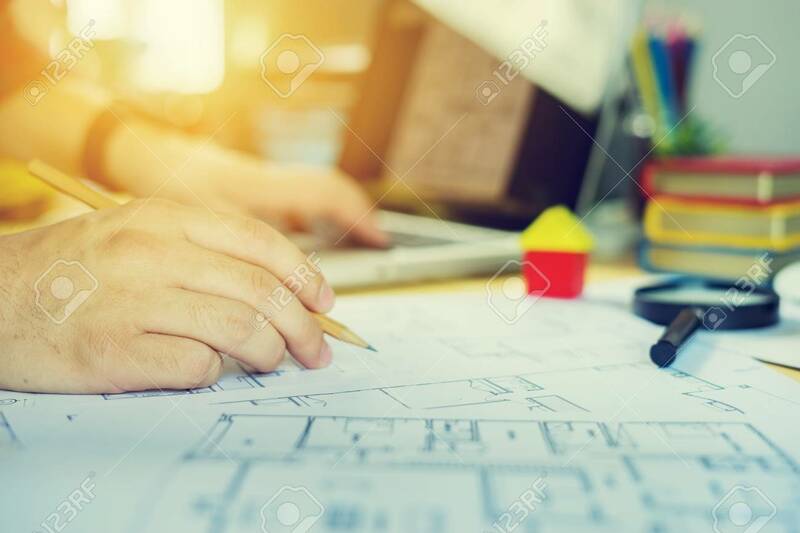 Architect Working On Blueprint. Architects Workplace - Architectural Project, Blueprints, Ruler, Calculator, Laptop And Divider Compass. Construction Concept. Engineering Tools,selective Focus Banco De Imagens Royalty Free, Ilustrações, Imagens E Banco De Imagens.. Image 80699914.